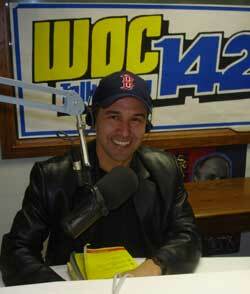 January 20, 2005, East Moline, IL - Here's Mayor Moreno on the air at WOC Talk Radio with host Dan Kennedy. 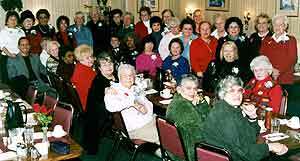 WOC had a different Mayor on every day for a week with a special edition called "Mayor's Week". 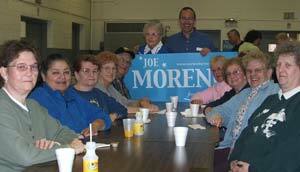 Joe talked about issues, goals and challenges for the City of East Moline as well as answer questions from callers. He did get a lot of 'fun hostility' about his Boston Red Sox cap as Dan is a big Cardinals fan. Moreno stated he's a big fan of Boston (the City), (the Marathon) and (the people) more than the Red Sox team. Mayor Moreno was in Boston for the DNC last July. 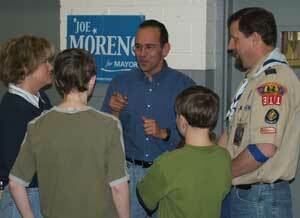 January 19, 2005, East Moline, IL - Mayor Joe Moreno is paying a visit to the residents of East Moline for the next month as he goes door-to-door, personally asking people to vote on Feb. 22.